A shape and topology optimization driven solution technique for a class of linear complementarity problems (LCPs) in function space is considered. The main motivating application is given by obstacle problems. Based on the LCP together with its corresponding interface conditions on the boundary between the coincidence or active set and the inactive set, the original problem is reformulated as a shape optimization problem. The topological sensitivity of the new objective functional is used to estimate the “topology” of the active set. Then, for local correction purposes near the interface, a level set based shape sensitivity technique is employed. 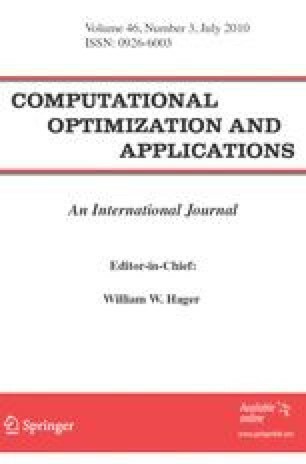 A numerical algorithm is devised, and a report on numerical test runs ends the paper. Both authors acknowledge support by the Austrian Ministry of Science and Education and the Austrian Science Fund FWF under START-grant Y305 “Interfaces and Free Boundaries”.